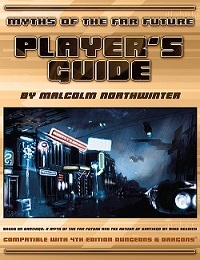 This free intro pack to the SANTIAGO: A Myth of the Far Future adventure path contains two guides (one for players, one for GMs) and the first adventure, A Visit to Keepsake. Players should not download the Campaign Guide as it contains major spoilers for the overall plot arc. Note: this isn’t a complete new RPG! 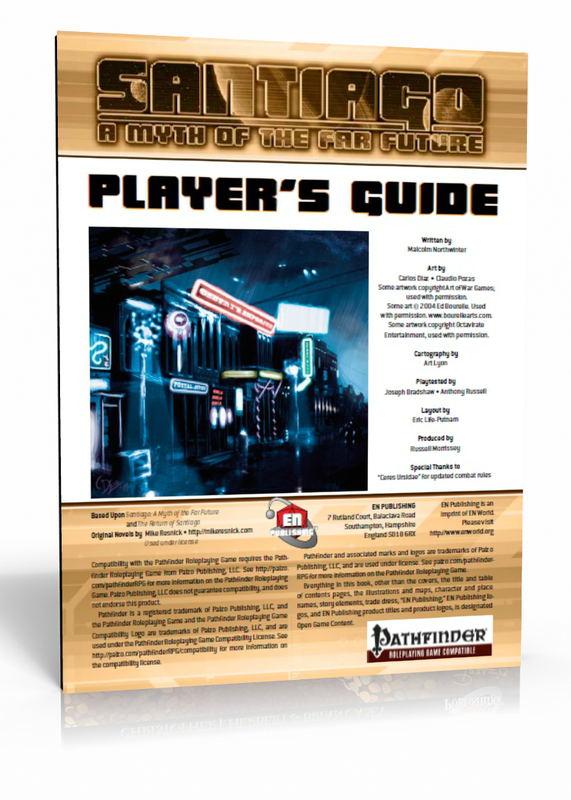 It’s an adventure path for PATHFINDER and D&D with some laser guns, spaceships, and minor additional rules. Basic setting info, alien races, classes, feats, changes to ranged combat rules, weapons, gear. Full adventure path overview, NPCs, running space campaigns, monsters. The first adventure. Collect a bounty, gather some clues, and begin the hunt for Santiago. A short introductory adventure to set the players on the right path!